The holiday season is fast approaching, and these Christmas tree topper ideas will help you literally cap off your holiday decorating this year! 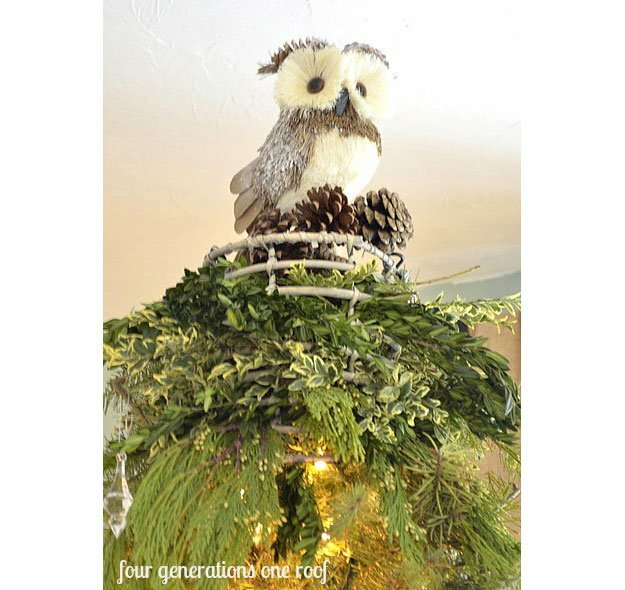 Whether you want something a little traditional, like a glammed-up star, or a little bit exotic, like a tree topper owl, I have something for your kind of Christmas. If you're tired of all the designs you see at the stores, go ahead and make your own unique Christmas tree toppers. A Christmas tree without a topper is like a mouse without its whiskers! This year, go totally unique and make your own DIY Christmas tree topper. I've put together a list of eclectic – and gorgeous! – Christmas tree topper ideas to provide inspiration and get your DIY juices flowing. I know how boring it can be to have the same old decorations year after year; it becomes clockwork, and not all of that is fun. With this list of the best Christmas tree topper ideas, you can take your pick and take it all the way to the top! Also, if you're looking to expand your reach, learn to sell these crafts and other homemade projects on Etsy! Can you believe this gorgeous tree topper is made out of pipe cleaners? It's hard to imagine, right? Well, this tutorial will convince you it is, and it's not that hard to make either. A star topper is common among the Christmas tree topper ideas. You can make it unique by covering your handmade star in fabric for an interesting and textured tree topper. If you think you don't have enough time for that, just pick out a colorful stock paper and follow these steps. Himmeli-style decorations come from Finland, hang as mobiles or ornaments, and are usually made from straws. This one is no different, but it leveled it up by using brass metal tubing to create a stronger modern heirloom. Interesting, right? Eschew tradition and go retro. This looks unreal, and believe me, it is. It's such a great inspiration you can probably replicate with a little creativity and determination and add to your selection of Christmas tree topper ideas. This is for everyone who wishes they're at the beach for Christmas. 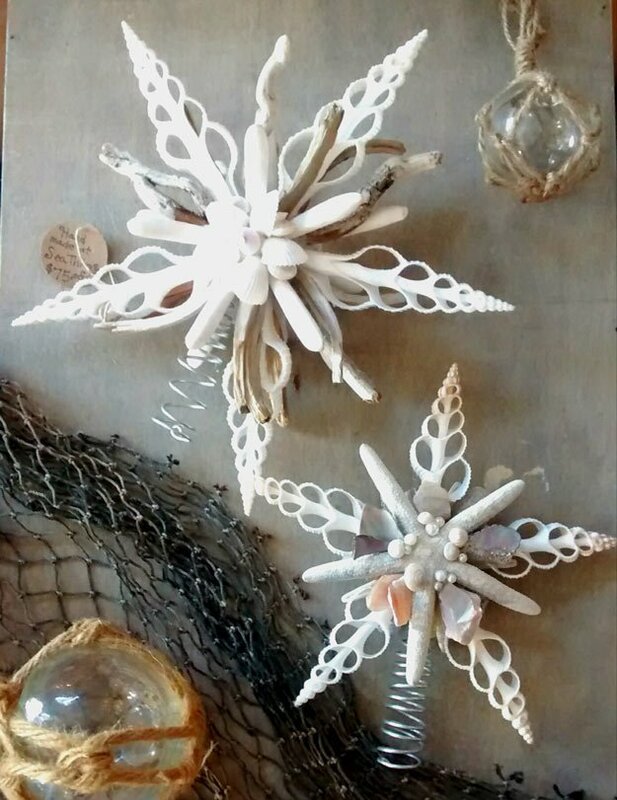 Grab your shell collection and your glue gun to create a one-of-a-kind shell star. In case you're feeling a little less crafty today, you can get it here. What a hoot! Now, this is truly a different take for your tree topper. Can you imagine your tree with a cute little visitor on top? I'm not sure how my kids will feel, but I sure can. I can't believe this is something made out of twigs. If you're going for a rustic look this Christmas, this is truly the tree topper for you. It's simple yet beautiful that you can include in your collection of Christmas tree topper ideas. This is so pretty! It may look complicated, but if you follow the steps carefully, it's as easy as a pie. You can follow this and go for gold, but silver seems like a great color too. Now, this is more than a star; this is a supernova! Can you guess what this tree topper is made of? I'll give you a clue: you can find its materials around the house, and it truly won't cost you an arm and leg. See it here. Calling all music lovers, this is the perfect tree topper for a music-filled holiday season. I know it may be a crime to some to use precious sheet music, but I'm sure you can just make a copy of a couple to make this. It will feel like Christmas in the woods (even if you're far from the woods). Get that rustic cabin vibe when you make this large tree topper that's sure to be a conversation starter. Put a top hat on your tree and make it a formal Christmas. A top hat on top of your tree seems fitting to me. You can even learn to make your own mini top hat tree topper if you don't have one handy. Go simple (and frugal!) with this DIY fancy burlap bow. Use it to top your tree or as a festive wreath. If you choose to use it, I'm sure it will be beautiful. Burlap Definition: A woven fabric typically made from sisal fibers or jute plant skin, which can be combined with other types of fiber to make nets, ropes, and other similar products. Dreaming of a glittery Christmas? Then this glittered tree topper is for you. Make your celebration shine with this lovely decor at the top of your tree. 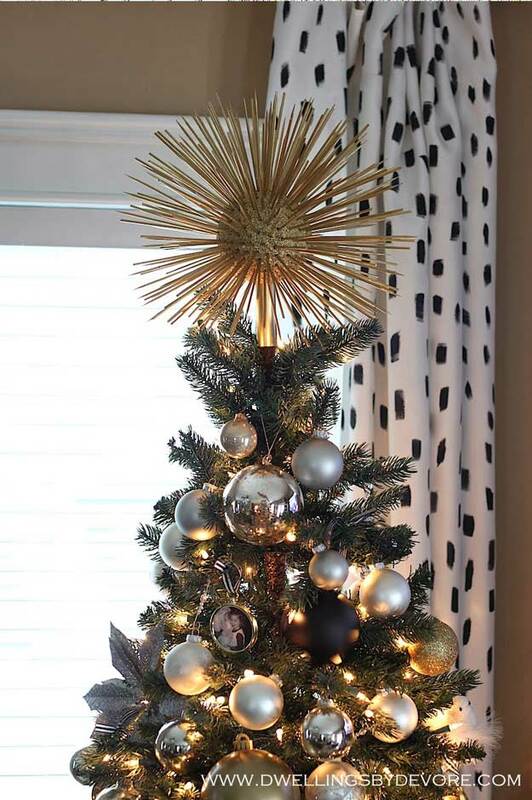 Your Christmas tree topper ideas don't have to stick to the traditional star or angel. Remember, this is your Christmas celebration with your family. You can start a tradition and make your own tree topper with any of these whimsical Christmas tree toppers. If you need some ornaments to complete your Christmas tree decor, I have a couple of ideas here. What other Christmas tree topper ideas can you share with us? Leave them in the comments section! Editor’s Note – This post was originally published on November 8, 2016, and has been updated for quality and relevancy. Number 4 got me excited!